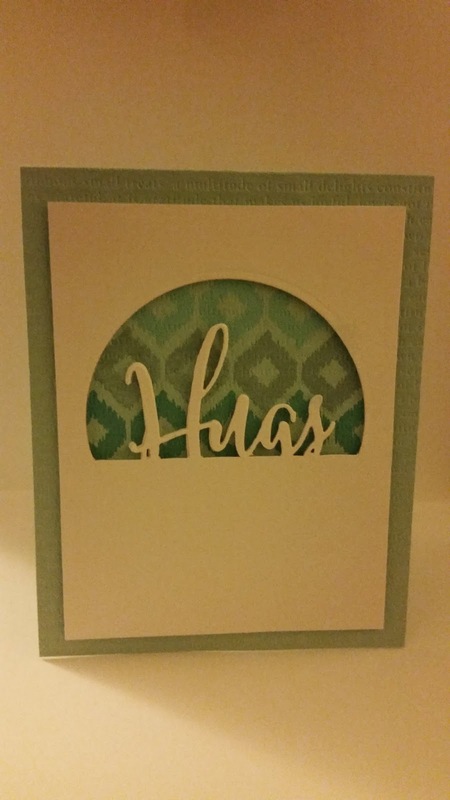 I took a cursive Hugs die and a circle die and did the partial die cutting on a Recollections 110lb white card front. I also die cut four more Hugs die cuts to pop it up and add some dimension combined with foam tape. Inside I used the ampersand from Bountiful Banners and the Easter wishes stamp from Mega Mixed Messages - so many useful sentiments in that jam packed set! 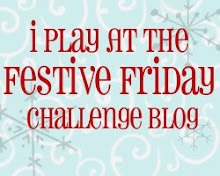 Hope you have fun with this week's challenge!! Check out my sale of crafty items - stamps, an ink pad and some other assorted items!! 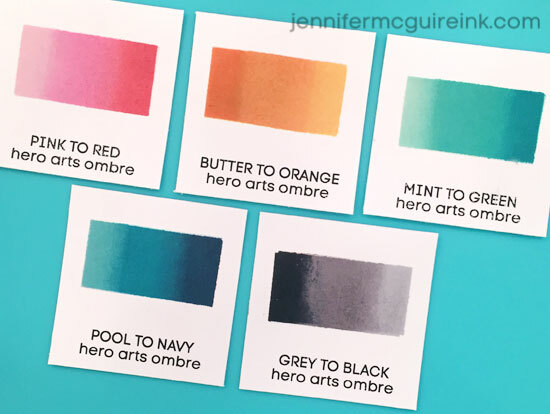 Oh, and I bought two of the Hero Arts ombre ink pads (mint to green), so if anyone is interested in buying one still sealed, just leave your email and info in a comment!! This is beautiful! 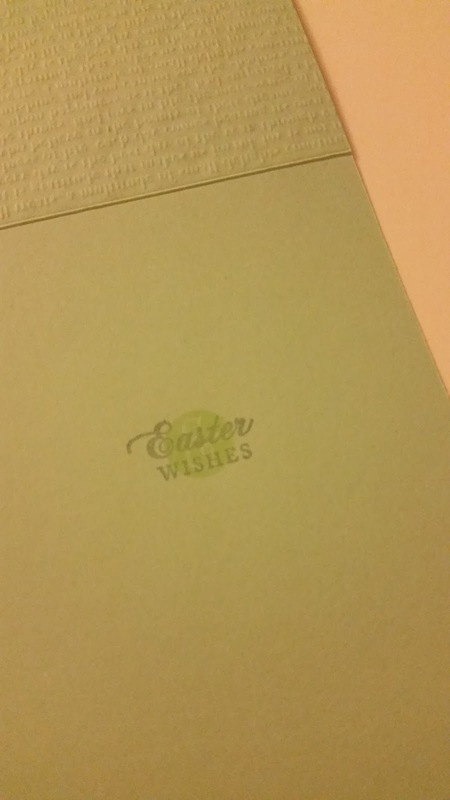 I love the greens and the dry embossing. Loveliness. Love that eb background! Beautiful! Sweet! Love your beautiful background. Wow! You did a super job on this! The die is positioned perfectly, and I love your background and texture. I just LOVE the extra texture you added on the background! 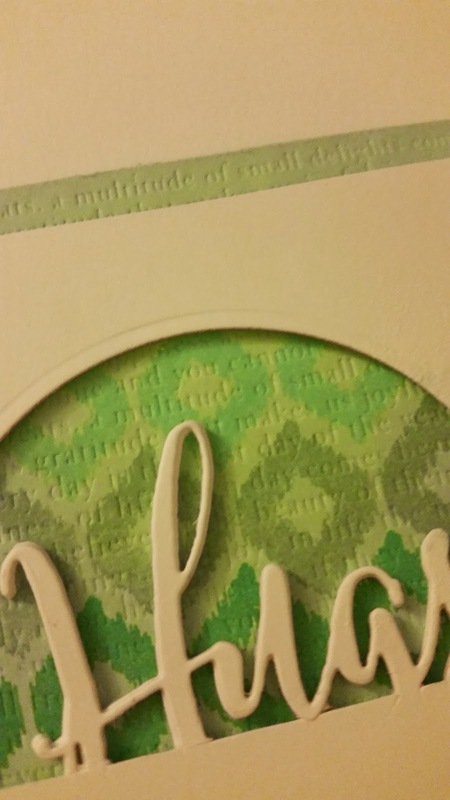 And your double die cutting turned out way nicer and cleaner than mine lol! Brilliant execution of that technique. 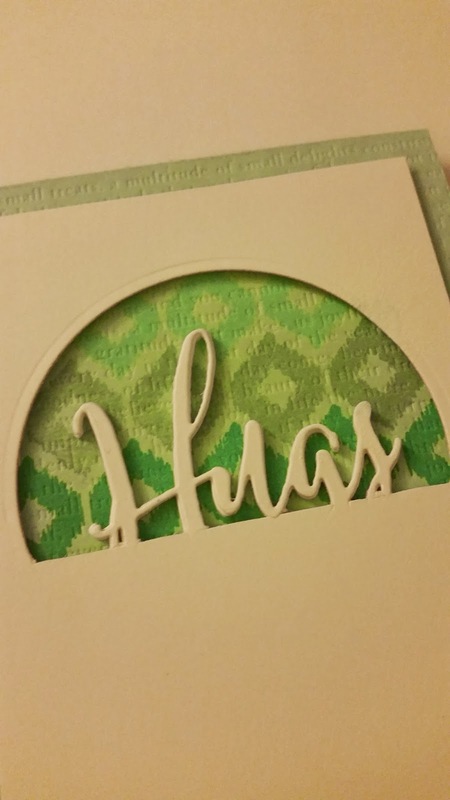 Love your ombre stamping in the background also.